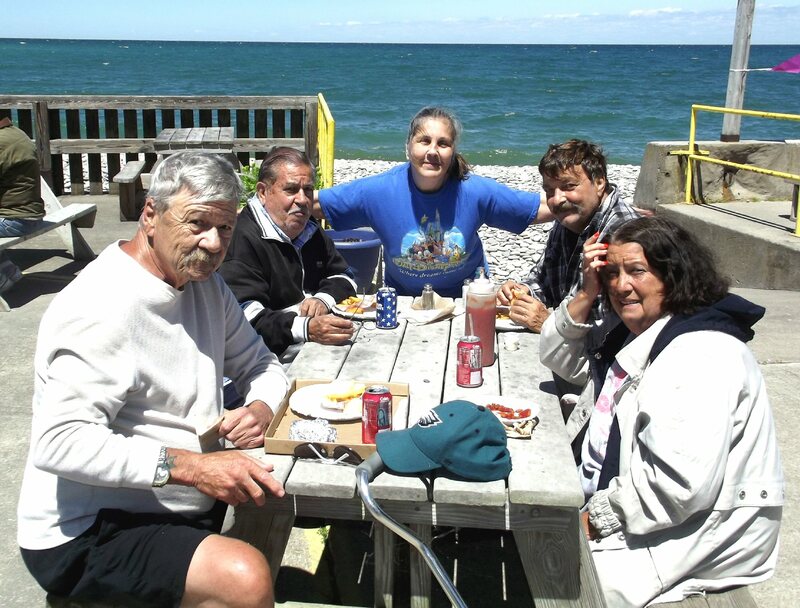 OSWEGO, NY – Residents of The Gardens Assisted Living Community enjoyed a leisurely lunch along the shores of Lake Ontario when they visited one of Oswego’s favorite dining spots, Rudy’s Lakeside Drive-In. The lunch outing was one of the many activities events that The Gardens offers its residents. Seated clockwise from left are John Coxhead, Miguel Oyarzabal, personal care aide Peachy Derousie, Bill Joyce and Lynda Feeney. Located at 132 Ellen St., The Gardens is a 106-bed assisted living community that provides an active living community and promotes independence while offering the support services necessary to assist individuals with health care need 24 –hours a day, seven days a week.